Denver's Elitch Gardens to open for 2017 season April 29 - Denverite, the Denver site! 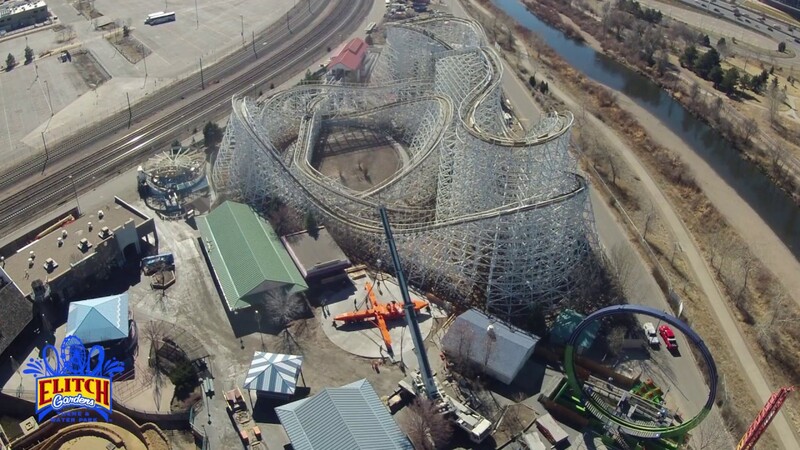 “Mega Wedgie” and “Star Flyer” are the two latest investments Elitch Gardens is making at its 70-acre amusement park. Mar. 31, 2017, 2:03 p.m.
Elitch Gardens is kicking off its 2017 season with new “Mega Wedgie” water slides and a 17-story “Star Flyer” thrill ride. “Star Flyer” swings riders 50 mph, 17 stories up. “Riders will enjoy breathtaking panoramic views of their favorite park attractions, the Denver skyline and the Rocky Mountains,” the park said in its release. “Mega Wedgie” was announced this week. The new water slides are taking the place of the former Acapulco Cliff Dive, Sun Plunge and Paradise Plunge slides. “Mega Wedgie” offers riders a six-story, 40 mph plunge in the Island Kingdom Water Park. “Mega Wedgie” will open in the Island Kingdom Water Park on Memorial Day Weekend, May 27. “Star Flyer” will be ready to go as the park opens April 29.